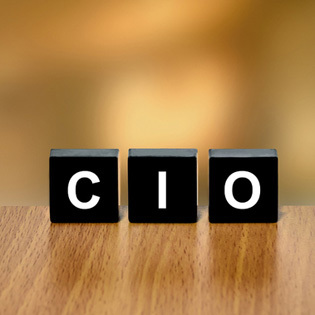 A CIO is a Chief Information Officer. This is the guy at the top of the food chain when it comes to IT management. He creates infrastructure strategies, supervises IT yearly budgets, and sits in with other high-level executives to make sure the IT department is part of any of many changes affecting the company. As you can imagine, the cost of a CIO is not cheap. For the most part, small- to medium-sized businesses cannot justify the cost of a CIO, but there are some related duties that could benefit small law firms and other small businesses. As of late, IT outsourcing companies have created the virtual CIO (vCIO). This is a person or persons well versed in the IT department that can be hired on an as-needed basis. The vCIO is like an architect of the network world. The vCIO will look at your current IT structure and compare it to your business needs. They can then build a plan that optimizes your IT usage to fit your business model. The vCIO keeps ahead of what’s happening with technology in the business world and they can also keep track of upcoming technologies that may benefit your law firm. Maybe the integration of client portals or certain mobility tools would help streamline your law practice. The cost is varied depending on the level of support you need, and the service provider you go through. The vCIO service is usually charged hourly or through a subscription. The subscription base allows the law firm to get a set number of hours of help per month with more time purchasable at a slightly higher rate. Because the vCIO may be a single person or a group of IT professional gurus, this type of service is sometimes called a managed service provider. The only real difference between the two is based on; 1) how they are marketed, and 2) what services they offer. This may seem like a wide area of coverage, but some vCIOs are a group of IT specialists and not a single person. For the small- to medium-sized firm, the vCIO can help with security and risk assessments to alleviate potential threats from your firm and network. They can even help in choosing the best software packages for your firm. They help to determine the best software based on your current hardware model, business needs, and budget constraints. In most cases, law firms want to look at the vCIO to help with their overall network infrastructure and determine the advantages of upgrading their networks to cloud configuration, or a hybrid network. The vCIO is a valuable resource and is a vital piece to the IT outsourcing puzzle. You should contact a reliable managed service provider to see if their services are the building blocks needed to take your firm into the future. Get a free assessment now.